Home / Market Insight, Financial Articles / 7 Marijuana Companies: Which Pot Stocks Should You Buy? Of the 46 marijuana stocks in the North American Marijuana Index, I guess that a handful of them are currently making money. That’s the extent of it. From that perspective, it’s a very daunting task picking the winners from the losers, because they all tell a good tale. But when it comes to separating the wheat from the chaff, the stocks to buy and sell aren’t nearly as easy to uncover. The biggest marijuana ETF in the world is the ETFMG Alternative Harvest ETF (NYSEARCA:MJ) with $1.23 billion in assets under management. MJ has a total of 37 holdings including some cigarette companies. It tracks the Prime Alternative Harvest Index, a modified cap-weighted index that is reconstituted quarterly in March, June, September, and December. To identify the three marijuana stocks to buy and the four to sell, I’ll rely on both the MJ ETF’s holdings as well as the North American Marijuana Index’s constituents. Regardless of what I recommend you buy and sell, I hope that you’ll do your own due diligence on each of these marijuana stocks because it’s still the Wild West out there. Tilray (NASDAQ:TLRY) CEO Brendan Kennedy has done well for himself. Co-founding Seattle-based private equity firm Privateer Holdings in May 2010, he had an estimated net worth of $2.4 billion as recently as September 2018, much of that from Privateer’s stake in Tilray. Since Bloomberg’s article about the billionaire’s financial wherewithal, Tilray’s stock has dropped by 60%, as investors have come to realize that expectations for this BC-based cannabis firm might have been too high. While the company expects its revenues to triple in 2019 from $43 million in 2018, analysts are concerned about its widening losses from higher operating costs. Perhaps an even a bigger concern is its valuation. Despite having fewer sales than some of its bigger Canadian peers, TLRY stock is trading at a much steeper valuation. As I said in January, until Tilray delivers better results, TLRY stock is going to have a hard time moving back to triple digits where it was last fall. I don’t think it’s a terrible stock. It’s just an overpriced one. There was an April 5 article in the Financial Post discussing Canopy Growth’s (NYSE:CGC) difficulties at its Aldergrove, B.C., greenhouse growing facility. It’s scary stuff if you’re a Canopy shareholder. That’s because the three greenhouses at Aldergrove account for almost 30% of the company’s 4.4 million square feet of growing space. If it doesn’t get up to speed in the next few months, investors are going to worry that its growth plans are filled with holes. As the world’s largest cannabis company, failure is not an option. There were suggestions that several plants at the facility were destroyed due to crop failure. However, the company is adamant that it destroyed the cannabis plants because it didn’t have the licenses to harvest the crop. It’s not easy growing cannabis in greenhouses. “I don’t think it is fair to say there have been lots of problems at Aldergrove. I think it is fair to say that it is a difficult task to bring 1.3 million square feet of cannabis production online in a short period of time. So it has not been a flawless process,” Canopy’s VP of Communications, Jordan Sinclair, told the Financial Post by telephone. The reality is that all of the big producers are having a difficult time mass producing cannabis and it’s going to take time for Canopy to get to full capacity. In the meantime, I like CGC because it has a big investment from Constellation Brands (NYSE:STZ), which should ensure that CEO Bruce Linton keeps his eye on the prize. Aurora Cannabis (NYSE:ACB) has been making a lot of moves lately to strengthen its corporate governance and international reputation including bringing activist investor Nelson Peltz on as a strategic advisor. Peltz, the head of Trian Investment Management and worth $1.6 billion, likely doesn’t need the job, so he must at least see the potential in Aurora. However, Aurora’s issuing stock options in return for Peltz’s name recognition, and that’s not good because the company has a long history of dilution shareholders. A recent example of Aurora’s dependence on share offerings was its $750 million shelf prospectus that it filed with the SEC. Although the company says it doesn’t intend to draw on the shelf prospectus immediately, the mere fact that it’s filed indicates that it doesn’t have enough cash on hand to compete with the likes of Canopy. Aurora has a history of diluting its shareholders. If it wants to put the negativity surrounding dilution to bed, it had better locate a deep-pocketed partner very soon because if it doesn’t, it won’t be a global player for very much longer. I’m a big fan of Cronos Group (NASDAQ:CRON) stock because it had the good sense to partner with Altria (NYSE:MO), a company that knows a thing or two about selling a highly regulated product. I saw a story about Willie Nelson’s Reserve the other day and noticed the country singer’s pot brand had pre-rolled joints. Who knows more about rolling joints than Altria? They’ve rolled a lot of cancer sticks over the years; it seems logical that the cigarette manufacturer’s understanding of the packaging process would be invaluable to an up-and-coming cannabis company. Here’s what I said about Altria’s bet on Cronos in December. In the long run, I don’t see how Altria’s investment in Juul turns out to be worth more than its investment in Cronos. It might not seem that way now, but Altria got a helluva deal for Cronos. Vic Neufeld stepped down as CEO of Aphria (NYSE:APHA) in January after leading the Canadian cannabis producer for the last five years. He cited health and personal issues, but the questions surrounding its Latin American acquisitions hastened his departure. I liked Neufeld. I thought he brought an air of professionalism to the company and industry having run Jamieson Vitamins for many years. “The last five years, going from an idea in some greenhouses in Leamington, Ont. to a global player in a major new industry have been an incredible journey for entrepreneurs like myself and Cole. But to be brutally honest the journey has also taken a toll on health, family and personal priorities,” Neufeld said at the time. Running the company at the moment is Irwin Simon, Aprhria’s chairman and interim CEO. Simon founded Hain Celestial (NASDAQ:HAIN) in 1993 and was the CEO until stepping down in June 2018, making him one of the longest-tenured chief executives in U.S. packaged foods history. While Simon was a great entrepreneur, he wasn’t necessarily a great CEO, delivering average shareholder returns in the last few years in his role as Hain Celestial CEO. There’s too much competition in the cannabis industry not to have a younger, more appropriate chief executive. Until Aphria finds a permanent CEO, I’d be hesitant to be a buyer of its stock. Like Canopy and Cronos, my two other favorite cannabis stocks, Hexo (NYSEAMERICAN:HEXO) has a partnership with Molson Coors (NYSE:TAP) that should help it keep growing in the Canadian market. Hexo signed its partnership with Molson Coors last August, a 50/50 joint venture that will see the two companies produce cannabis-infused beverages for the Canadian market. Although Molson Coors isn’t investing in Hexo itself, the joint venture gives the beer company 11.5 million warrants exercisable at CAD$6 a share. Currently trading around CAD$8.42 a share, Molson Coors is already in the money. As for the rest of Hexo, Oppenheimer analyst Rupesh Parikh initiated coverage of its stock in February with an outperform rating and a 12-month target price of $7, 11% higher than its current share price. However, it is Hexo’s recent CAD$260 million acquisition of Ontario-based Newstrike Brands (OTCMKTS:NWKRF), which increases its Canadian distribution footprint from three provinces to eight making it the largest Canadian cannabis company behind Canopy, Aurora, Aprhria, and Tilray. Add to this an agreement to make edibles with the Neal Brothers, a Toronto-based maker of nacho chips and other food-related products and you have a company on the move. Of the three I like, it’s my darkhorse. I happened to be in a coffee shop here in Nova Scotia a few months ago when I overheard a stockbroker selling a client on The Green Organic Dutchman (OTCMKTS:TGODF), a Toronto-based producer of organic cannabis. The company reported its 2018 results March 25. They weren’t good. Revenues were just CAD$1.9 million with a loss of CAD$45.2 million, 235% worse than a year earlier. TGODF has raised CAD$450 million in capital to date to help fund the building of 1.5 million square feet of greenhouse space in Canada and another 167,000 in Jamaica and Europe. The company has yet to generate revenue in Canada as its two greenhouse facilities are still under construction. In fact, its facility in Ancaster, Ontario, might not get the green light from the local city council to begin construction. Although the Ancaster city council voted in late March to pursue a settlement with the company, it has several conditions that must be met by TGODF to protect the residents. If the company doesn’t agree to those conditions, a tribunal hearing will take place at some point in the next few months. The Ancaster facility is by far the smaller of the company’s two greenhouse operations, so it’s not nearly as essential to its future revenue. That said, I don’t know why anyone would put their hard-earned cash into a business like this if there weren’t at least a pathway to profitability. 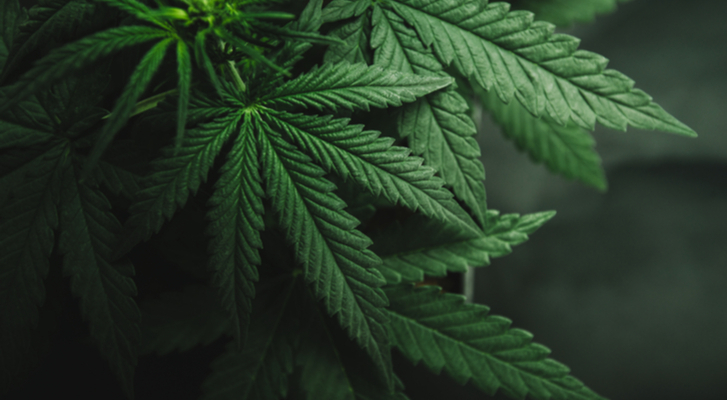 Article printed from InvestorPlace Media, https://investorplace.com/2019/04/marijuana-stocks-to-buy-sell/.